Printovi, nesto sto nikada ne izlazi iz mode... Vrsta printa se moze menjati iz sezone u sezonu- animal, cvetni, printovi sa raznim linijama, sarama ili pak razlicitim objektima i zivotinjicama kao sto su ptice i sl... Ali nijedna godina nije prosla a da nismo bili "zaludjeni" barem nekim "stampanim materijalom"! U ovom prilogu vam ostavljam (meni) inspirativne modne kombinacije za prolece/leto 2012 i par komada iz moje linije nakita! 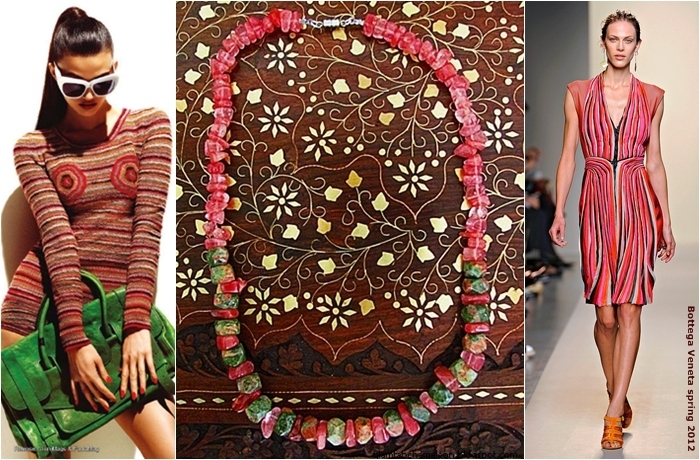 Notes: Glam Chameleon Jewelry pieces are made from unakit, cherry quartz, carnelian, moss agate, glass and another beads. wow... loving the yellow dress! Oh, the prints are simply stunning! Love the colors that are used as well!! Thanks for the inspirations! loving these prints... excellent selections! I like these prints especially the first one! You have created the perfect jewels Jelena! 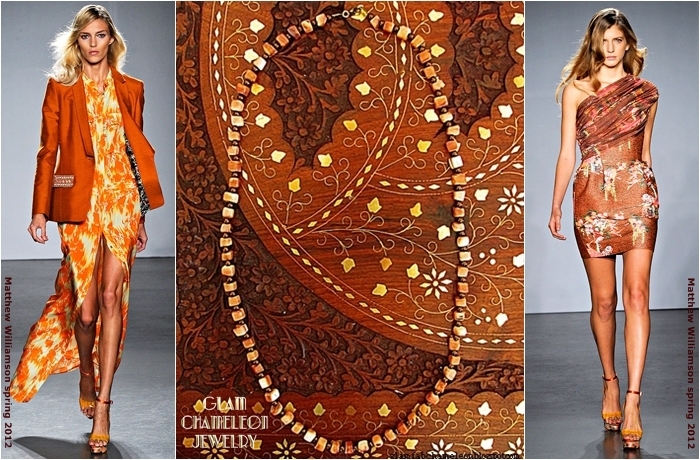 This collection is really amazing, I love prints:-) M.
Hi Jelena, beautiful collection!!! and I love your necklaces! Those two skirts on the right side are to die for! Loving the high waist on the first one! Gorgoeus! Both the dresses and the necklaces! I love prints that are unique and fun. Stripes are nice, but everyone does stripes. I want something different. These are super cool! 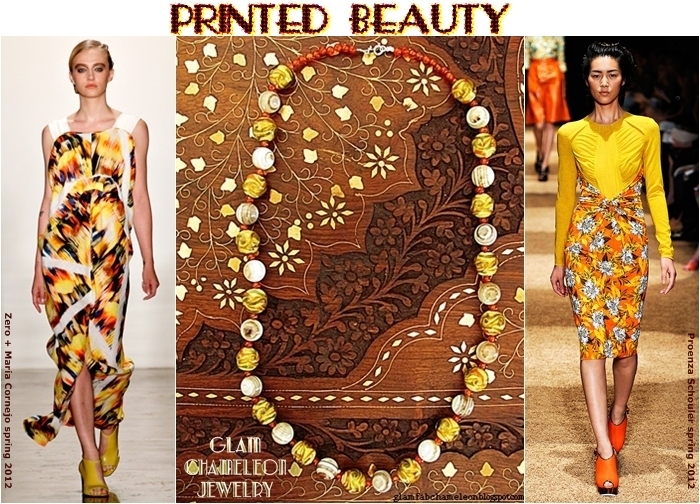 Lovely prints and beautiful jewelry!! Thanks for your sweet comment! ohh i love the crazy prints! wauw I really love it! Amazing prints and gorgeous jewelry! 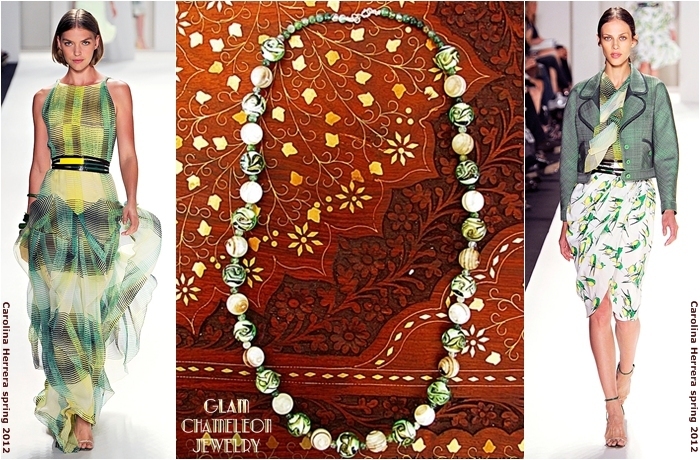 Your jewelry designs are simply beautiful Jelena!